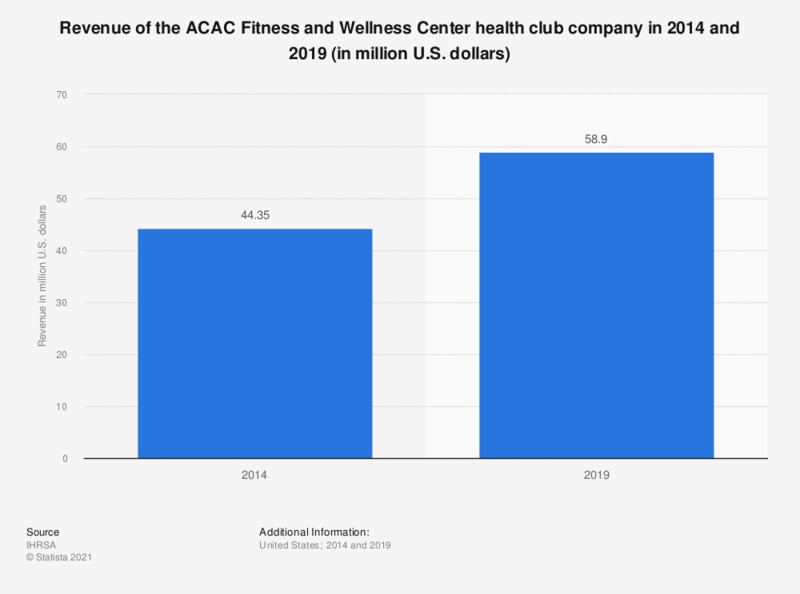 The statistic depicts the revenue of the ACAC Fitness and Wellness Center company from 2012 to 2014. In 2014, the health club chain is expected to generate a revenue of 44.346 million U.S. dollars. In 2013, the Virginia (USA) based company operated 6 clubs.